Governor Rick Scott announced that his 2018-2019 budget proposal will include $63 million for teacher supply grants. This proposal is an increase of nearly $18 million, or $100 additional dollars per teacher. These annual grants are used by educators to purchase classroom supplies needed for the school year. Currently, Florida teachers receive $250 annually for classroom supplies. The Governor’s proposal will increase this funding to $350 annually. That's in addition to annual bonuses of $1,200 or $800 that teachers will see this year (depending on a teacher's evaluation). 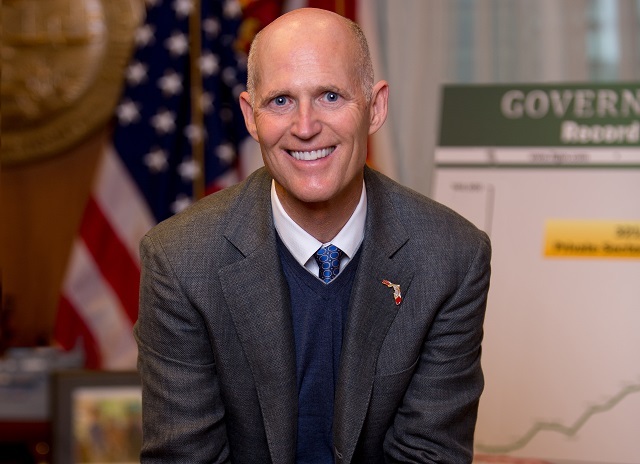 “I have the opportunity to travel to schools and meet with our hardworking teachers, and yesterday, I was fortunate to meet with our Teachers of the Year to hear how we can make our schools even better," Governor Rick Scott said. This year, the Governor secured the highest per-pupil funding in Florida history which follows multiple years of Governor Scott securing historic funding for education.